True foodies search for travel-worthy dishes that are legendary and have been perfected through the years. Omaha’s legendary for steak, but did you know that we’ve been raising the Reuben sandwich since the beginning? Created at Omaha’s Blackstone Hotel during a high stakes poker game in the early 1900s, the Reuben has grown into an American menu staple. Imagine the first bite into a prime Reuben sandwich – the savory corned beef, fresh sauerkraut, bubbly Swiss cheese and creamy Russian (or Thousand Island) dressing. Many try to replicate it, but everyone knows the original is always better. Find great Reuben restaurants ranging from celebrity-friendly bars to popular neighborhood watering holes. 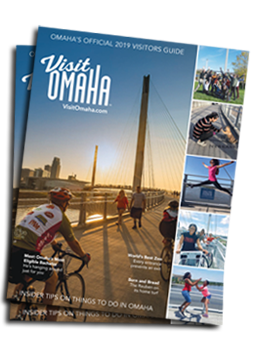 Take a look below and plan your own Omaha Reuben fest.